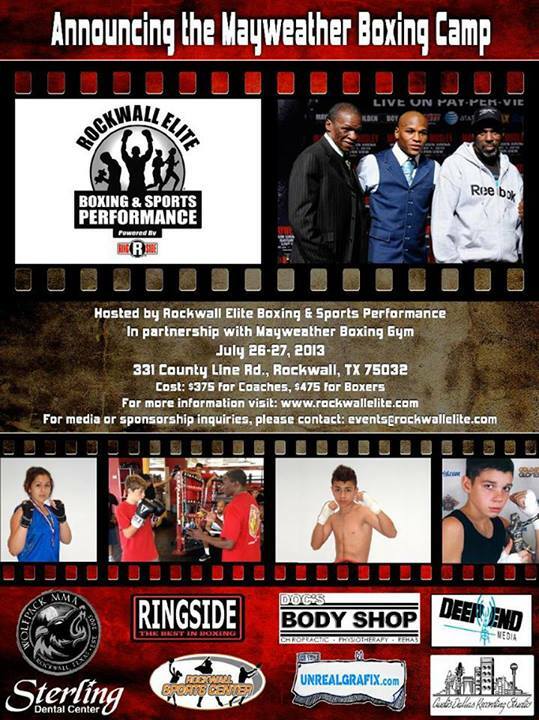 So how'd Floyd Mayweather's boxing camp go in Rockwall over the weekend? It didn't, of course. Canceled. File this one in the folder labeled "If It Sounds To Good To Be True ..." Because remember, as I warned you a couple weeks ago, it smelled fishy from the start. ... the thought of Money Mayweather conducting a two-day clinic in, of all places, Rockwall, Texas just seems a tad preposterous. Sure enough last Wednesday, just two days before the scheduled camp, it was canceled. Because of "scheduling conflicts." The press release promises the camp will be re-scheduled after Mayweather's title fight against Canelo Alvarez on Sept. 14. And, yep, there's another hint about "Money" himself attending. Again, I think it's a good gym with great intentions. But ... we'll believe it when we see it. Zero comments so I felt sorry enough to add one...this blog is getting very poor hits since the big reaveal. How surprising.